The PC 5 CHAT Headset from Sennheiser is a simple plug-and-play headset with an on-ear design and is compatible with a wide variety of platforms through its 3.5mm jack. 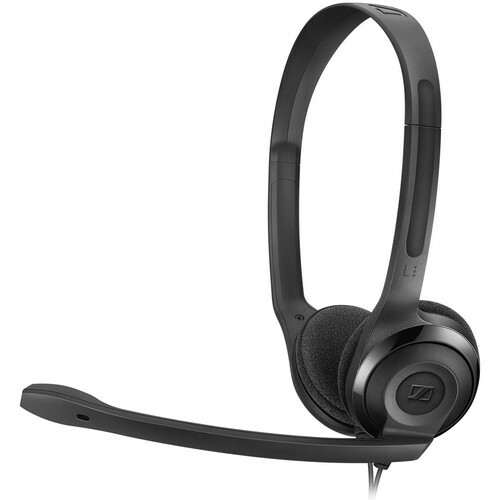 Its noise-canceling microphone ensures audio clarity and its adjustable headband is designed for comfortable use, even through extended sessions. Box Dimensions (LxWxH) 9.55 x 8.35 x 2.55"